What’s the best game to play online? 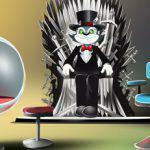 Check CoolCat Casino's tips! You did it! You’ve signed up, made your first deposit, and got your bonus. So now what? You might ask. “What’s the best game to play?” Well, we’ve got great news! There are plenty of options to choose from, and CoolCat Online Casino, has some very exciting slot games that will keep you coming back to play time and time again. Choose your own adventure game below! If you’re starting with a small bankroll or want to ensure that you’ll have plenty of time to maximize your play, we recommend you try out Cash Bandits to ensure that you get the best game experience. This slot is a player favorite that pays out tons of little wins and a few big ones. It offers a classic “cops and robbers” style adventure that will be sure to have you taking a spin at the reels and running away with the loot! 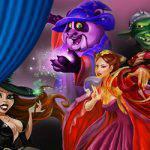 Play for fun the best games only at CoolCat Online Casino! If you’re a risk taker, and that’s not enough to get your pulse going after that one big win; take a look at Bubble, Bubble. Maybe this will answer your question about: what’s the best game? Although you might not win as often, however, when you do, your wins can be huge! Bubble Bubble offers all the excitement and eye-candy you need to bring home some serious coin. Finally. If you really want to make it rain, take a look at some of our big jackpot slots. 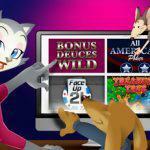 Games like Achilles, or holiday favorites like Naughty or Nice or Rudolph’s Revenge offer jackpots that are enormous! These slots are great around the holidays or any time of year! 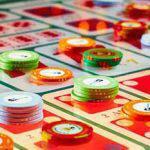 Just be sure to check out our casino bonus codes and promotions. If you hit that jackpot you’ll be all the merrier. Still not enough? 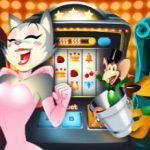 CoolCat Casino Online has plenty of the best games to choose from. We suggest you take the time to try out a few and find the one that works best for you! So don’t wait! Click on any of the games above to play, and more importantly, register to win real money.